It is about time I wrote a bit about Bloodbowl and my team the CFL as they have been growing obsessions of mine for about a year now. 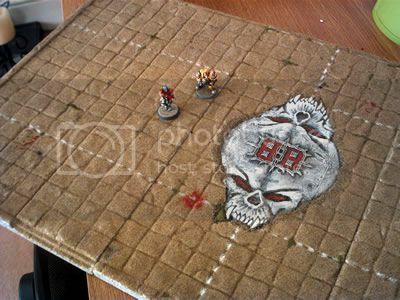 I love Bloodbowl - from my very first teams way back when I was a kid and we had the styrofoam astrogranite pitch to the present day it remains one of my favorite games. I had a large hiatus between the two eras but last year decided that Bloodbowl would be perfect for a couple of seasons at the games club I run for the students where I teach. Understanding that the rules had changed dramatically from when last I had played I reached out into the internet and found a few really great communities to discuss learn and strategise with. The first community I joined was the Australian Bloodbowl crew at the AUSBOWL forums. A genuinely wonderful collection of gamers who really work together and are a very welcoming community. 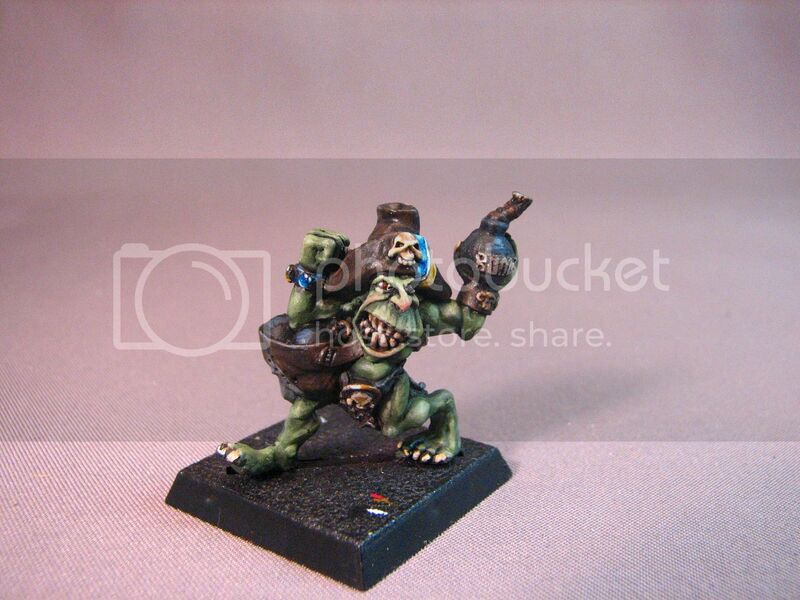 These guys were so awesome that I even did a model for their 2009/10 Legacy Team raffle (sorry the pics arent very good - the model was really quite nice!). Basically anyone who submits a figure for their team must paint it with team colours and is given a ticket to potentially win the whole team. They then sell additional tickets at their events to raise money for their Forum and community events. I did star player Bomber Dribblesnot and added striping and a back crest in the appropriate colours (note the base in the pic is incomplete as the person organizing the raffle does the basing for each model so that they all look the same). Another larger and more diverse group of BB fans can be found at Talk Fantasy Football (or TFF). These are coaches from all around the world and really this site is considered the central pillar of the online community for this game. 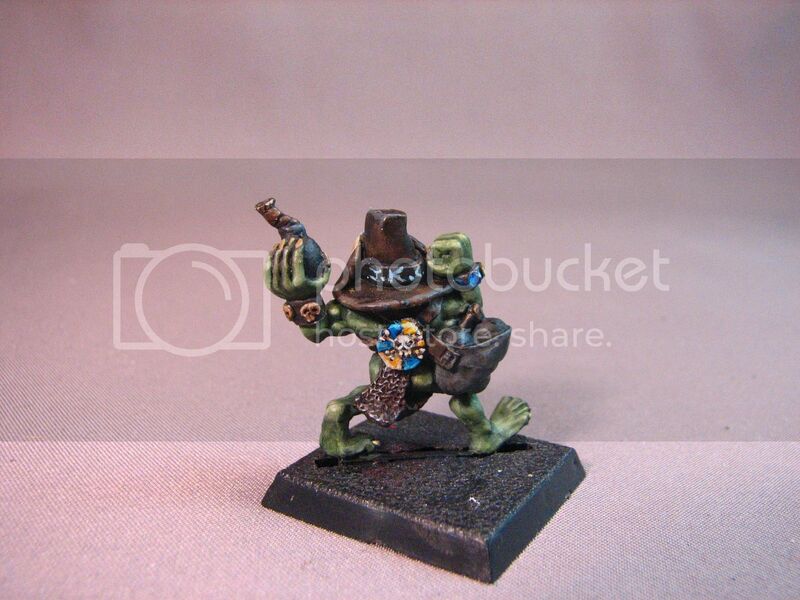 I also joined the NAF who are the overseers and governing body of "official" bloodbowl events worldwide. For $10 a year you get access to info on upcoming events and a sweet set of collectable BB dice. The season went incredibly well, I placed third in the finals with my "Slaan" team the CFL, Bronze went to Coach Coffin and his Undead (With a last name of Coffin could you really see him playing any other team?) and Gold going to the Stronghold Strong Arm - Our resident dwarf team and bane to most players in the league. 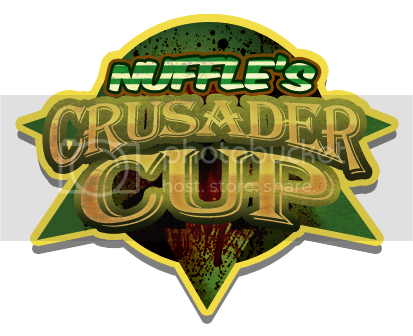 Now we are preparing for an all new season mixing vet players and new blood - Stay tuned to the crusader cup blog starting in October to see how it all goes down! In the meantime I will post photos and info about my team from last season, their participation in an NAF official tournament and a sneak peek at what is to come this season. I also have new Beastmen, new products to share and a plethora of other stuff. CYA SOON!. And Icepelt Hammerblow is my Hero! 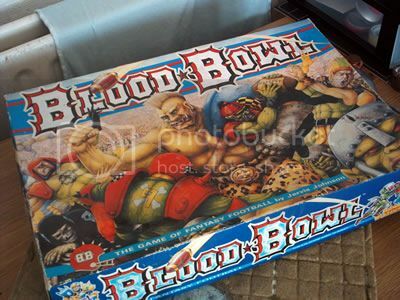 I presume you have some painted Blood Bowl teams, are there any pictures of them anywhere? Which miniatures did you use for the Slann team?